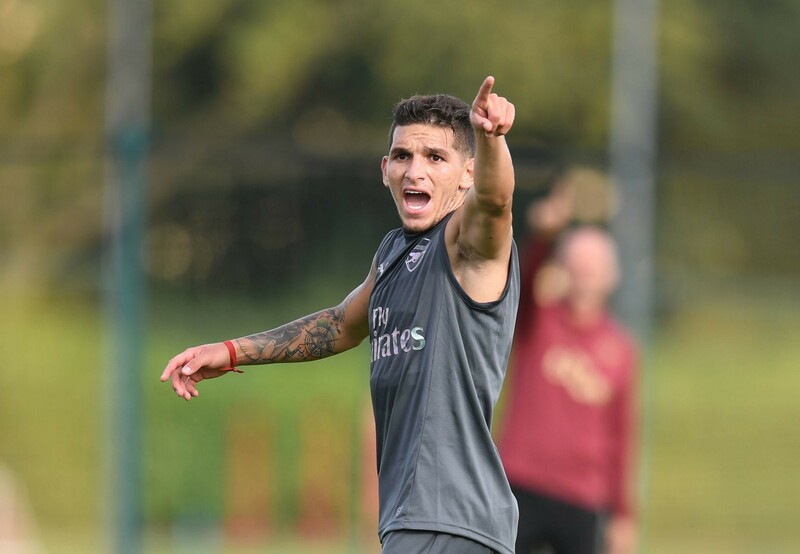 Many reports this week claimed that Lucas Torreira was injured after he played only 45 minutes for Uruguay when it faced Mexico but the midfielder is now in London and is even training. Arsenal’s new midfielder Lucas Torreira played only 45 minutes in Uruguay’s friendly match with Mexico and most reports claimed that he is injured because he was seen holding an ice pack on his left leg. Arsenal fans were scared that the Uruguayan midfielder would be ruled out from their match against Newcastle United this weekend but the manager of Uruguay later confirmed that he substituted Lucas Torreira from the friendly match just as a precaution. Arsenal travels to St James’ Park on Saturday and Lucas Torreira is expected to finally get into the starting eleven for the first time this season because he has proved to Unai Emery that he is ready to get used to the demands of the Premier League, Unai Emery has always been not straight forward when asked why he doesn’t start Lucas Torreira in the starting eleven but the Arsenal fans will be disappointed with him if their new midfielder isn’t on the team sheet to face Newcastle United.